Mineral dry mortar premix for use in the area of plinth/base walls. 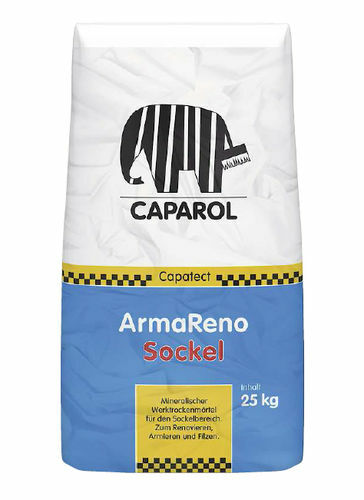 Suitable for preparation and renovation of unreinforced or reinforced render/plaster layers and felted plaster surfaces. As reinforcing mortar (rendering) within the Capatect-ETICS A and B. As renovation mortar for reworking sound, existing renders/plasters. To provide fine-grained, felted surfaces.